One of the big stars of The Hunger Games series will also be joining Cillian Murphy and co.! After we thought the additions of Adrian Brody and Aidan Gillen in Season 4 was big news, along comes this! We've already known that Anya Taylor-Joy (Split, The Witch) was joining the ranks, but now Deadline are reporting that she will be joined by even more newcomers, including Sam Claflin (The Hunger Games: Mockingjay, Me Before You) and Brian Gleeson (Mother!, Phantom Thread). Claflin said of joining the show: "From Steven Knight’s writing to the consistently brilliant production, I couldn’t feel more privileged to be invited to join this iconic show." Gleeson added that he is "Looking forward to kicking around in the mud of Northern England with an exceptional cast and crew. The scripts are wild and pertinent — a classic Peaky brew." Even more new cast additions include Neil Maskell (Happy New Year, In Darkness), Kate Dickie (The Cry, The Witch), Cosmo Jarvis (Calm With Horses, Lady Macbeth), Emmett J Scanlan (Butterfly, Safe), Elliot Cowan (The Spanish Princess), Charlene McKenna (Ripper Street), Andrew Koji (Warrior) and Daryl McCormack (A Very English Scandal). 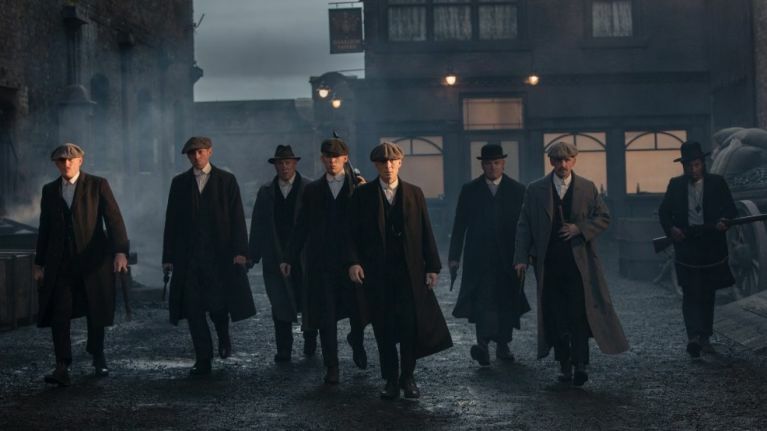 The fifth season of the show is currently filming in the UK, set for release on BBC One in 2019, and the plot is said to centre around the world thrown into turmoil by the financial crash of 1929. With opportunity and misfortune are everywhere, Tommy Shelby MP (Cillian Murphy) is approached by a charismatic politician with a bold vision for Britain, and he soon realizes that his response will affect not just his family’s future but that of the entire nation.